Springtime is such a wondreful time of year. 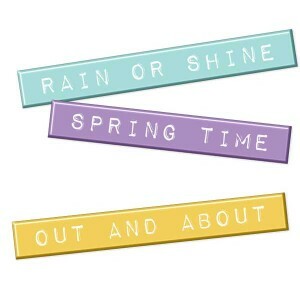 Celebrate your spring memories while scrapbooking with this set of little labels. These labels read Rain or Shine, Spring Time, and Out and About in teal, purple and yellow.